Curing and Sanitizing Reed Case. Just load your reeds and close it. In 5 minutes, all curing process get done. Simply push a power switch to turn off curing function so that ReedCure becomes an ideal reed case. 4 reeds of any size (Soprano, Alto, Tenor saxophone and Eb, Bb Clarinet) can be treated together. 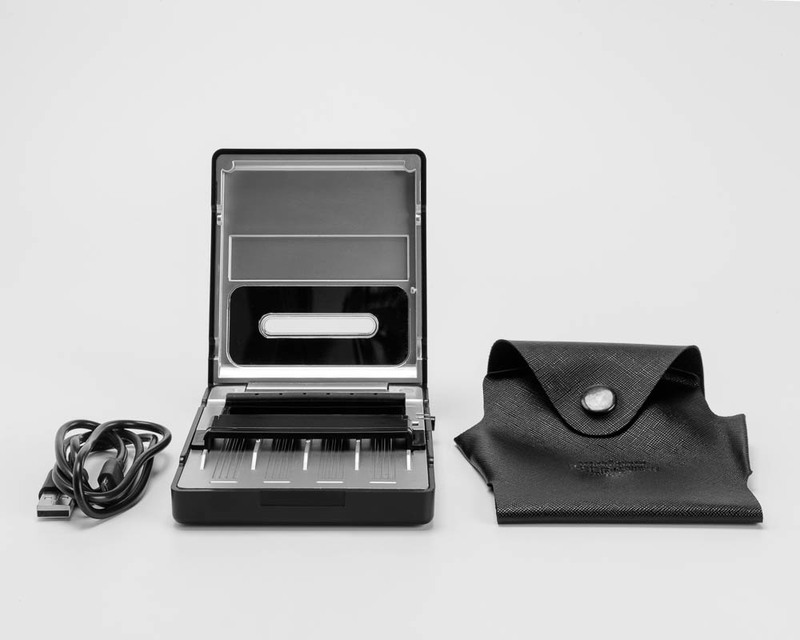 The device uses a standard USB charger of your own. Single charge is good for ~30 curing cycles. Load your reeds in the ReedCure and close the cover, assured in the knowledge that the next time you play, you play pure. For your reeds, the combination of UV and Ozone will reach into all corners to revitalize and sterilize. 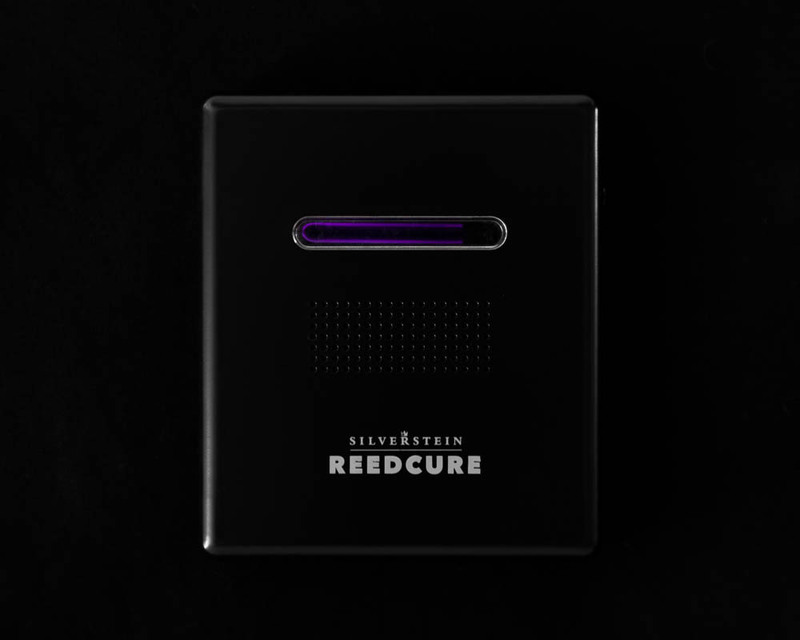 The ReedCure has been lab tested against various strains of bacteria and infection-causing microbes that when left unattended can cause a variety of health problems. 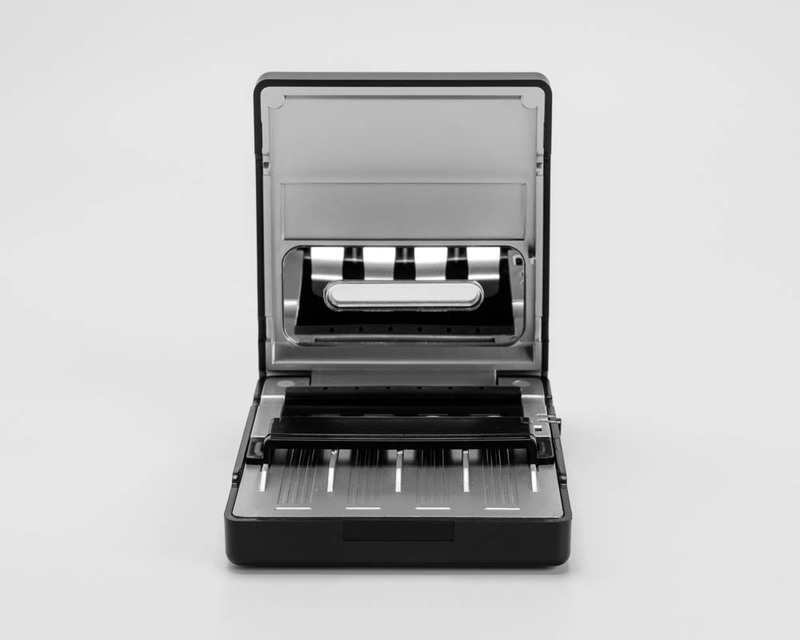 The device is 99.9% effective against several notable infections, including: Escherichia coli (E. coli), Staphylococcus aureus, Klebsiella pneumoniae, MRSA.